This trace style imitates small shrimp which are irresistible to most types of bait fish. They have lumo tips for added attraction in low light. 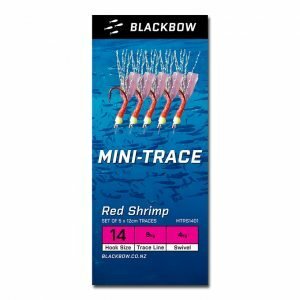 The BlackBow detachable mini-trace system makes it easy to reconfigure your rig in many different ways. 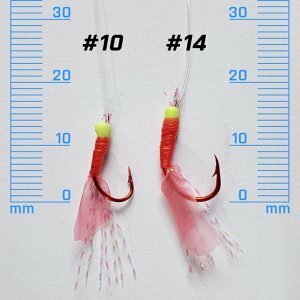 If you want to target a different species of fish, you can easily swap to an alternate style of lure. 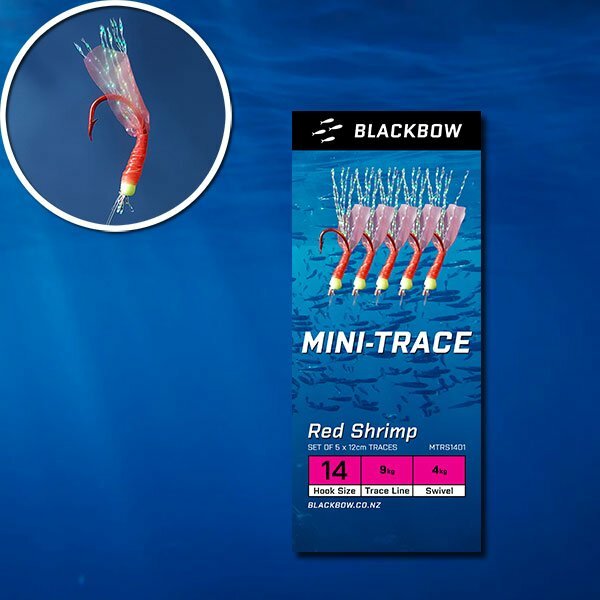 You can even mix and match your lures on the first few drops to test which one is going to work best for that day. 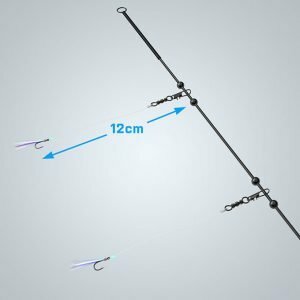 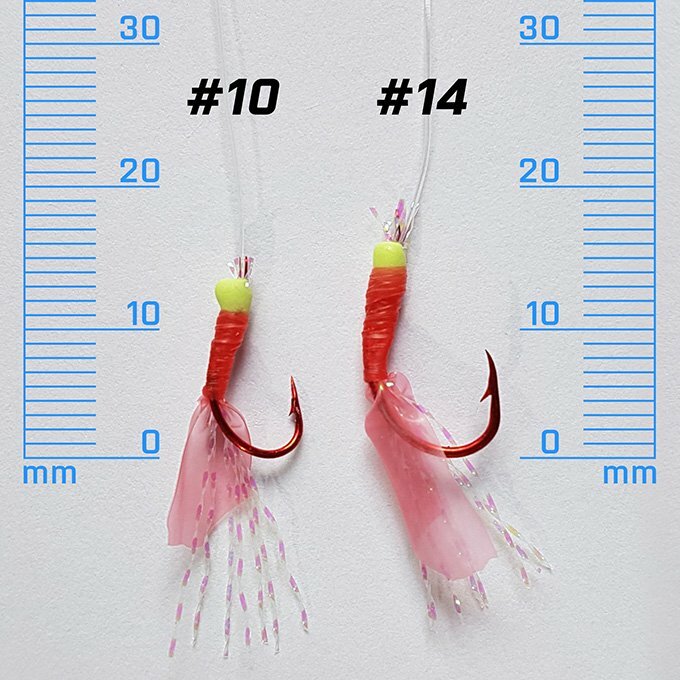 You might want to increase or decrease the hook size to better match the bait school. 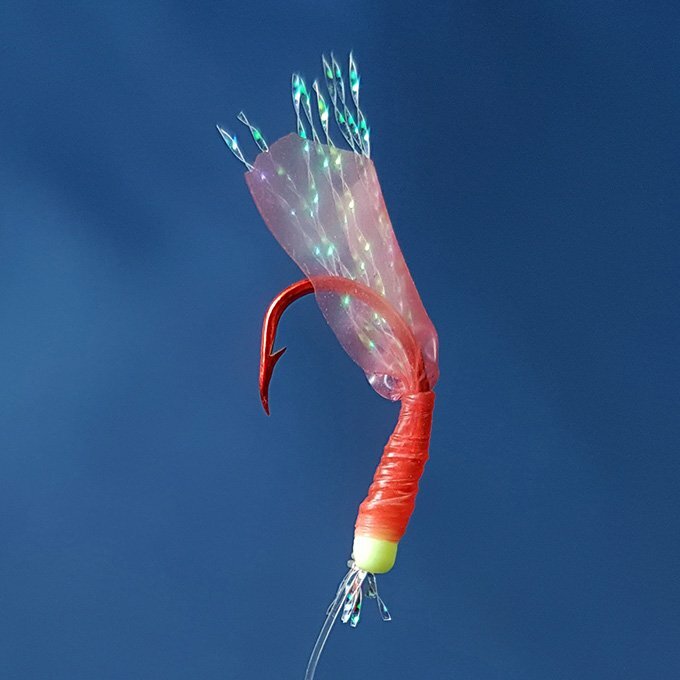 Maybe one particular lure has been hit too many times, looking a bit worse for wear and needs replacing. Rather than throwing out the entire rig you can just change a single trace.